The Mission of the Batavia Arts Council is to raise funds to be able to support our community's Artists and Art Projects. 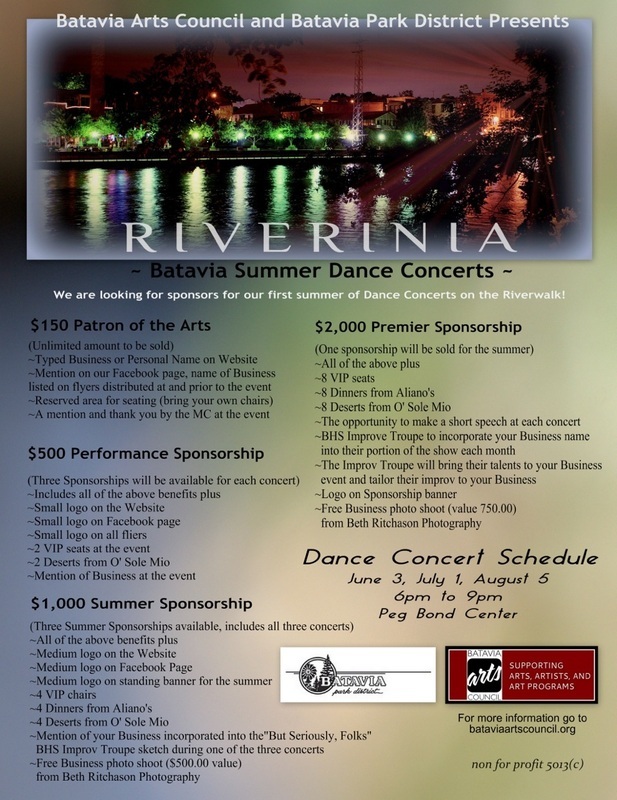 RIverinia is just one of many events we are hosting in an effort to raise those needed funds. Please consider sponsoring this event so a profit can be achieved. We need to cover the expenses of the musicians, the sound system, and other administrative costs to put these concerts on. In exchange for promotional and other considerations, please consider contributing to our cause of supporting the arts and artists of our community. Mention of your company incorporated into the Improv performance one month.